Here is my first tutorial for 2018 showing you how to set up Samplitude Pro X3 to communicate with Sound Forge Pro and Spectral Layers Pro. Is there a way to also add iZotope RX to that menu? Sometimes it works better than Spectral Layers and vice-versa. If you click on the "Add" button and browse to the iZotope executable it will be added to the list. I don't have RX but I made a GIF showing how to add Melodyne stand-alone. Although you will also need to name it in the l external tools window. That worked getting to RX but I don't seem to be getting it back to Samplitude. I just downloaded the RX demo let me do a test and see if I can find out how it works with Samplitude. Hmm unfortunately the demo doesn't allow me to save so it severely limits me testing it. Did you try choosing "Overwrite original file"? Does that affect the file in Samplitude? I haven't tried that yet. It also didn't allow me to save so I think there may be some kind of permissions issue. I'm not sure how much testing they did with third-party editors. I think their focus was on integrating Sound Forge and Spectral Layers. My tests show that you can save edits from Melodyne stand-alone linked this way. I was trying to test Wavelab 9 while back but I only had the demo so hence the same problem with saving. It also works with Har-Bal which I tested quite a while ago. I just performed a small test. 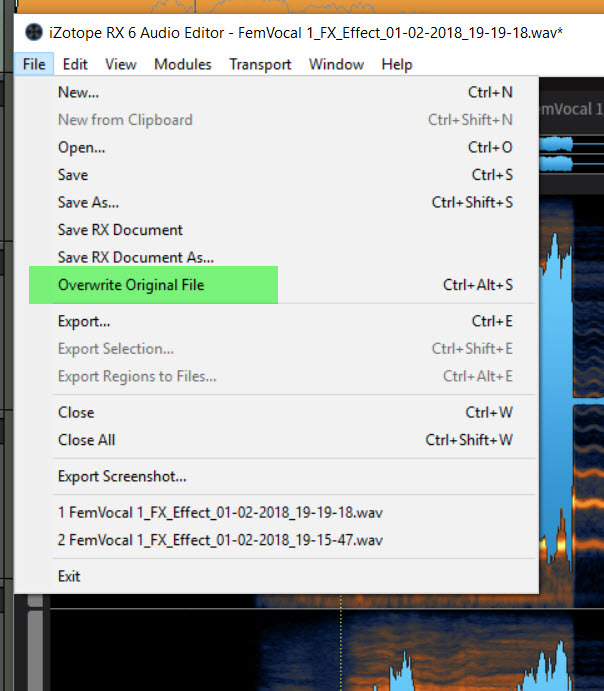 Selecting "Overwrite Original File" does send the corrected file back from RX to Samplitude. Thanks for testing @Ron MacNutt That's very interesting the alternative method, thank you for the link. That's how it works in Pro tools but it hadn't occurred to me it would be available in the Wave-Editing Plug-ins.